According to the Department of Labor, apprenticeships effectively prepare, “a highly-skilled workforce to meet the talent needs of employers across diverse industries.” Here at Penn Foster, we couldn’t agree more. And for the fourth year in a row, the DOL has sponsored National Apprenticeship Week to raise awareness and celebrate apprenticeships. 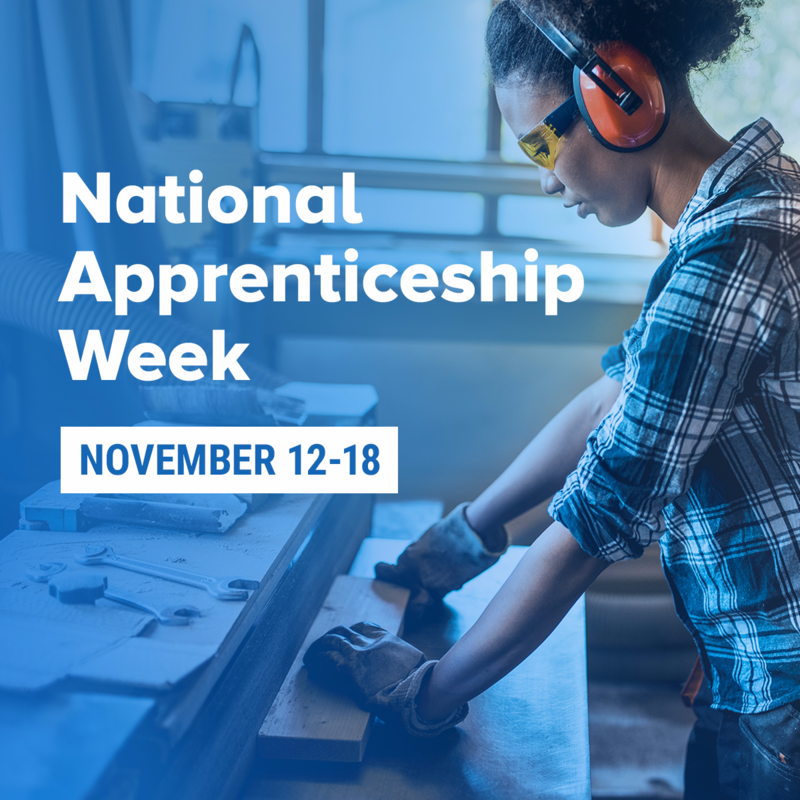 In an effort to promote and recognize the numerous benefits of apprenticeships in business, labor, and education, the week of November 12th-18th is dedicated to showcasing those benefits. As the leading provider of related technical instruction for apprenticeships in the United States, our diverse curriculums help our employer partners enhance on-the-job apprentice training with flexible, online coursework for over 5,000+ apprentices annually. For UAW-Ford, implementing a pre-apprentice program was necessary to fill their open jobs as more and more journeymen retired. As their partner, over 400 UAW-Ford employees have completed the pre-apprenticeship program and became eligible for the Joint Apprentice Program, effectively building their talent pipeline. Other companies, like MetroPower LLC, have also turned to apprenticeship programs to upskill workers into hard-to-fill roles. Given our online, mobile-friendly platform, MetroPower’s apprentices are able to fulfill the necessary apprentice coursework while completing on-the-job experience– even when travelling on electrical projects. To date, over 125 apprentices have enrolled in the DOL-registered Electrical Apprenticeship program powered by Penn Foster. This week, and every week, we celebrate the countless benefits of apprenticeships, especially those felt by employers who utilize these programs to build talent pipelines and provide workers with career pathways. Across the skilled trades and other industries, more employers are beginning to recognize these benefits and implement apprenticeships. To learn more about the benefits of apprenticeships and strategies to implement an apprenticeship at your organization, click the button below to read our comprehensive eBook.